A loan of $1,175 helped to purchase milk, ovaltine, drinks, toilet soap etc. Haja is 29 years old, married, and has one child who attends school. In 2009, Haja began a provisions business, selling milk, ovaltine, mayonnaise, sugar, etc. She began her business because she came from a poor background and her parents did not have the capacity to see her through school. Her elder sister who was a trader was married in Freetown and Haja joined her sister in Freetown for her to assist her education, but her sister preferred to train her in the business. Haja works seven days a week, 16 hours a day and earns about 960,000 SLL every month from this business. She is requesting another loan for 5,000,000 SLL, which she will use to purchase cartons of milk, ovaltine, drinks, toilet soap, etc. for her business. 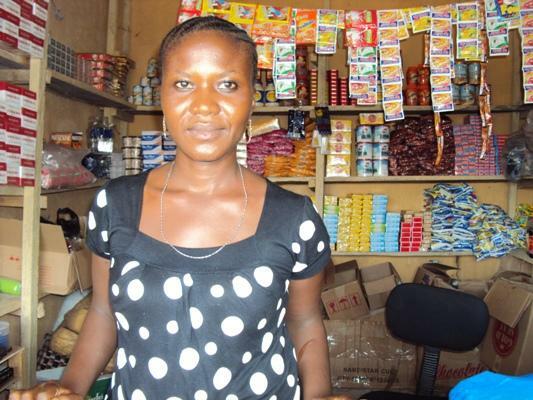 She has plans to complete her house and improve her business.